The struggle of being a former New Yorker/Washingtonian/Arizonan in an excessively friendly southern state is all too real. One of the hardest things about being a transplant in the south is the challenging adjustment of having to talk to people. Especially extraordinarily friendly people, because they make me feel like a sorry excuse of an ill-mannered human being. For someone naturally reserved, such unexpected conversations with enthusiastic random strangers can be grounds for a full-blown anxiety attack. On an exceptionally good day, I can plaster on my most natural fake smile. Then I cross my fingers, in hopes that my face won’t actually freeze that way. Especially if I am unintentionally bearing teeth. When I’m out walking around my neighborhood and people go beyond the perfunctory wave and vocalize their greeting, or worse, initiate a conversation? What am I supposed to do then? The obvious answer, of course, is to make a run for it. I go outside to throw away the trash in my pjs in broad daylight and the neighbor twelve houses down to the left with the terrifying horse-sized Scottish Deerhound smiles and starts waving a little too enthusiastically. My typical instinct is to discreetly crouch down and scuttle away like the stealthy ninja that I am. Suddenly, my brain is rapidly firing off panic signals. Crap! You made eye contact! What were you thinking? Great. Now the neighbor wants to make conversation while you’re standing outside like a fool in your Hello Kitty pajamas! Might as well be standing outside naked. Maybe that’d be less awkward. Quick! Excuse yourself! Get out of there NOW! The last time I had been caught off guard by a neighbor, I managed to back out of there after a record time of 1 minute and 28 seconds. By pleading a bathroom emergency. But it was the best I could do after my overactive brain presented the pitiful excuse on a silver platter. Yet once again, my brain is tasked with conjuring up “logical” excuses while my neighbor continues on with his riveting monologue about cows. I’ve narrowed down my choices. While all of these seem like perfectly rational justifications, I naturally go with the most plausible one. The house is on fire. Not seeing the thick gray smoke? Well, gotta go! See ya later! I made eye contact, and now it’s all over. This must be the end. Haha! I totally get this one. It seems fun to read but totally strange and silly. And small talk can never pass for a sincere relationship. Our neighbors have been more of the wave as they pass by, but I have been known to take the trash out in my pjs. lol. I am amazed at the talent it must require to turn a one syllable word into a word that now has more syllables than I could’ve ever imagined. Who needs bread when you can have bray-uh-eh-ed? I don’t think the neighbors here are as overly friendly as they may be in The South, but I do still take great pains to avoid them… even going so far as to peek out the window to see if anyone’s milling about before going outside (In the rare instances I actually do go outside!) They probably see me as “The Quiet One” who they’ll be talking about to some news reporter someday…. LOL! Due to the position of my house I have to journey a little way to put my bin in an easy access place. I run with it in my robe with hair on end. One time a man waved in his own pjs, relating to me 🙂 In England people can be so reserved as a whole. Northerners can be the most outgoing. I’m from South Carolina, and I feel your pain. Raised here, but I’m definitely not feeling the friendly Southerner vibes, the talking, and so on. I’ve come to the conclusion that a person is naturally inclined to be either an introvert or extrovert regardless of where they are from. It’s so funny Angelica how you write about experiences that we all can relate to. As for me, when I see someone that I know is going to talk to me or I encounter a stranger that wants to start a conversation, I immediately pull out my cellphone and start talking. If I want to make a quick getaway, I make it sound like I forgot some important engagement and dash off. Just tell people that you left the stove on in your meth lab. They’ll understand. This is the comment of the year on any blog I have read! LOL! Haha, I think I will! Since moving to North Carolina 25 years ago I have become one of those talkative neighbors. I grew up in the Deep South and friendliness and hospitality were just a fact of life. I’m not sure how I grew up to be such an introvert! So I feel your pain. And, now that I think about it … maybe that’s why I developed the habit of getting completely dressed before I take out the trash or go check the mail. Great post! Keep ’em coming. True! No one was ever able to cure me of my introversion! Sometimes it takes half an hour to walk down the block in my neighbourhood with all the friendly “hellos” and talk…luckily I know of some short-cuts and boy do I get a laugh when I run into someone doing the same thing! I’m left with the “deer caught in headlights” image and those “Hello Kitty” pajamas, such fun! I am a life-time southerner and I find I am too friendly at times. Not everyone likes that even fellow southerners. That’s pretty good. I did time in Arizona (Tucson). I can’t wait to get back there. Grass always seems greener for some reason. I thought I’d read this before lol glad you out the disclaimer at the bottom so I know I’m not crazy! Well, bless your heart. A glass of Sweet Tea will make you feel better.
. . . coming from a North, NJ guy who has lived in South Carolina for 22 years now..
Hah. Pretty much. I’m as introverted as they come. I also live in Texas. Luckily I don’t have any close neighbors. That might drive me nuts. Hah. Well, you can’t be any worse than me in my “Davy” Dukes (which I wear everywhere and don’t give a crap LOL). I’m all about comfort. When away from your job do whatever. No skin off my teeth. As always – a great, funny and witty post. 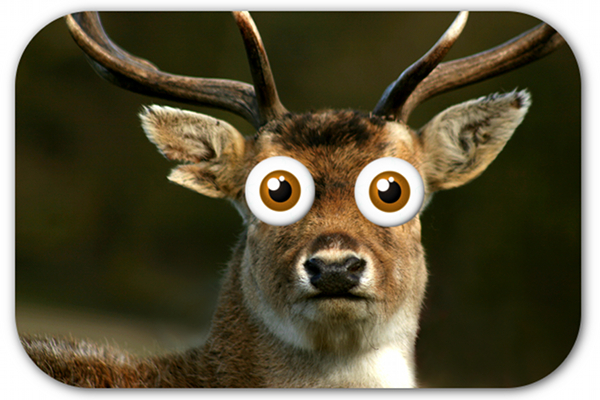 I was over on twitter, when your deer in the headlights came up. Glad I came over. I’m a very private person. My worst nightmare is having to make small talk. I have used the bathroom excuse my whole growing up in Georgia and as an adult in Mississippi. It works. No one wants to question it! Transplanted to the South? Introvert? I relate thoroughly. J. Exactly. Also a non-hugger surrounded by people who want to hug. J. Sometimes I escape. Sometimes I grit my teeth and bear it. J.